Next time you’re in Winthrop or Mazama be sure to take a look (or seat) at the newly placed artwork in the kiosks at trailheads in each location. These two lucky kiosks recently received locally made public artwork from artists Jessica Dietz daCosta and Barry Stromberger. 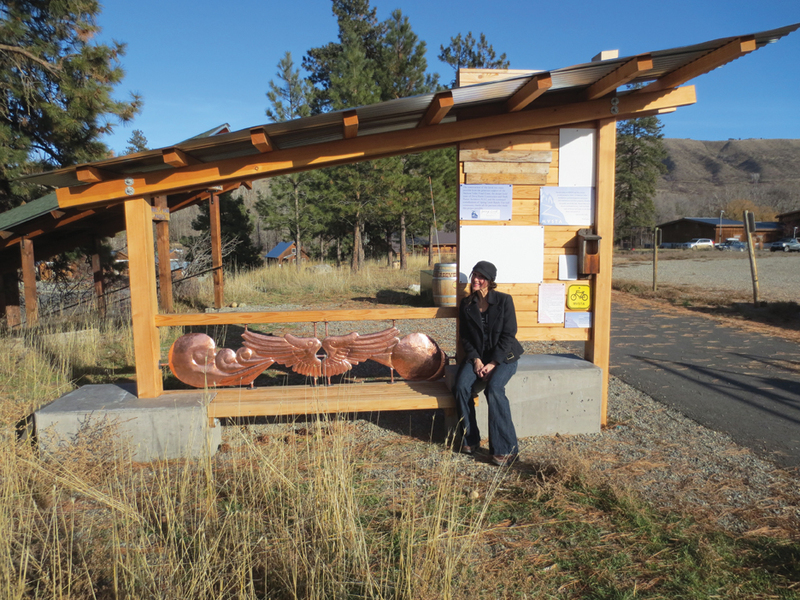 The PUBLIC ART KIOSK PROJECT is a collaborative project of Methow Arts Alliance, Methow Valley Sports Trails Association (MVSTA) and the Methow Valley Nordic Club. 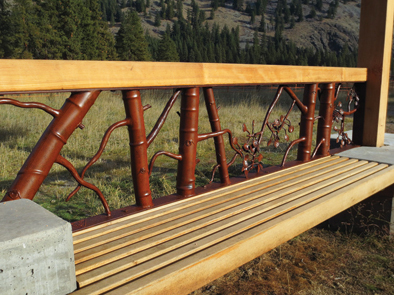 Bringing original and local public artwork to the Methow Valley trail system, the project enriches the trails with the original works of our local artists. The project is also generously supported by Hannah Kettler through the Lee Adams Fund as a way to honor the memory of Lee Adams, an avid outdoors enthusiast with a passion for community building. Both Kiosks were originally built in 2012 by MVSTA and the design and build team of Deva Harris Construction and Mark Parker Architects PLLC with generous grant support from the Methow Valley Fund Grant. The hope is that the artwork and the design of the kiosks will attract people to the space and connect them with important postings about our local community, events, trail conditions, or trail highlights. The PUBLIC ART KIOSK PROJECT taps into local creativity, enthusiasm, and resources in order to provide a “trailhead experience” that matches the quality and care that we invest in our valley every day and in our truly unique trail system. Each kiosk will feature a plaque recognizing the selected artist and connecting viewers with our Methow Arts website and ARTIST pages (which are offered FREE to local artists). Thank you to Hannah Kettler for your vision and in generously supporting this innovative project. We couldn’t do it without you. CONTACT: For Artwork information contact Methow Arts (.org), 509.997.4004, info@methowartsalliance.org; for Trail information contact MVSTA (.com), 509.996.3287, and for the Methow Valley Nordic Club, www.mvnordic.com.